Don't go too overboard before we can verify the veracity of this document, as I can't find any source for it, but at a casual glance, it looks legit, and look at the signitories names! Easy to fake names on a typed document though, eh? Just seems to me there's way too much 'if' coming off of this to get excited yet, so I'll hold on to my grain of salt. IIIII'm not even reading that until we can get some confirmation on it. I don't think SearchingLyoko is crazy enough to fake something like that, but then again, see February 2010. But if whatever is there is true, asdfghjkl. 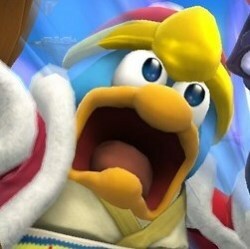 I'm hyped. SL better not have faked this..
With a MMORPG with a huge budget being done, and this whole "Reloaded" thing, It'd make sense to make another season. I just hope CN doesn't get it, because knowing the stupidity of the current leaders, it would air at like, 6AM. The Hub or Nicktoons seems likely to me. Gotta wonder if they can get the cast together again, though. If not, I vote Crispin Freeman as Ulrich. "english isnt his first language, leave him alone. im more upset at people that have been speaking english their whole lives and cant write a readable sentence." Well, I just did a Google search on Cloe Garbay, and her name came up in conjunction with Code Lyoko on a Spanish or Portuguese (can't tell) fansite that apparently received the same thing two days ago (in Spanish or Portuguese) with no mention of SearchingLyoko. About the best thing going for Garbay is that "moonscoop.com" is the contact suffix for Moonscoop, but I searched through all the "contact us" emails and her name didn't come up...is it possible to fake that part of an email address? EDIT: CL.fr got it too yesterday! http://forum.codelyoko.fr/viewtopic.php?p=192070#192070 In my opinion, if it's been sent to three different fansites in three separate languages, it's either real or a really elaborate hoax. EDIT AGAIN: Actually reading it, it does seem to have some of the rhetoric of a press release, such as the advertisement of Kabillion. It does advertise all four seasons on iTunes by October, so if that happens, we'll know it's real by then! Wait...I hope that happens too! The whole show, legally bought, hopefully in quality that isn't a stone's throw from crap? That's not as good as a DVD release, but that is good, if it happens! Well... this is certainly a surprise. I read through the French translation of the email on CL.fr, and I can verify that it's the same email. This is, quite honestly, really, really great! Having all four seasons on iTunes would be a godsend; my collection is in horrible quality and there are ads from the TV rips and whatnot... but yeah. And a season 5... how would they make it as good or better than the original? I kinda felt that Season 4 didn't have the same quality to it in terms of plot and whatnot, and the law of Sequelitis states that any unplanned sequel or continuation to a series will be weaker than the original concept, but still... wow. It actually kinda makes sense, with the MMORPG and the novels and Reloaded, so... yeah. If this turns out to be true (and I'm having doubts about it not being true, since CL.fr and that Portugese site got it), then I shall eagerly anticipate its arrival. So far, I think 2010 and 2011 are turning out to be great years, with Avatar: The Legend of Korra and CL debuting, as well as other stuff. EDIT: I read through the French email and apparently, they're making a CL-themed ride/section in the Futurescope amusment park as well as books with the original concepts for CL in them (but these are probably the novels, since they mentioned Albin Michel in them), so yeah. Those lucky French... they get a CL theme park ride. Last edited by TheAppleFreak on Sat Jul 24, 2010 11:50 am, edited 1 time in total. And here I thought CL on iTunes would be the best news I would hear for the while, but this just takes the cake. I really hope, nor do I think, that this isn't fake. I think if SearchingLyoko faked it, he probably would have done it when he first started CLU. But if it is fake, well, we still have the novels and MMORPG to look forward to. But I remain optimistic about it and I eagerly await to see what happens. The fact that TB3 of all people on this site can't find any sources makes me doubt the legitimacy of Searching Lyoko. Was that picture file the only thing Searching Lyoko sent you as proof for a season 5, TB3? I just find it hard to believe that Searching Lyoko would find out about season 5 from the producers before the guy who actually met all of them. Being familiar with press releases (get 20 or so a day in my e-mail), this sounds totally bogus. Np press release sounds that informal and jargon-ish. The press release is catered way too much for the fans of the show, where an actual press release would be more formal, straight to the point, have quotes from the people involved, use company header at the top of the page, and not basically be full of a lot of promise but nothing concrete. This reeks of amateurish shenanigans. Sorry guys, but I'm not believing this. Stonecreek wrote: Being familiar with press releases (get 20 or so a day in my e-mail), this sounds totally bogus. No press release sounds that informal and jargon-ish. The press release is catered way too much for the fans of the show, where an actual press release would be more formal, straight to the point, have quotes from the people involved, use company header at the top of the page, and not basically be full of a lot of promise but nothing concrete. This reeks of amateurish shenanigans. Sorry guys, but I'm not believing this. knifey wrote: The fact that TB3 of all people on this site can't find any sources makes me doubt the legitimacy of Searching Lyoko. Considering the technical savvyness of the average lyoko'er, this could easily be faked. I'm sure nobody that got the email could verify the domain name of the person that sent the email to the actual IP of the mailserver. And don't they digitaly sign this stuff with a PGP key? And then, I don't think moonscope cares about the niche communities that have been setup to monitor this kind of stuff. In short: This could of easily been faked. I doubt that any company doing an official press release would use that much childish jibberish. Quotes aren't a requirement for a PR, but do help. I would like to point out that "favourite" is used in the first sentence, while the spelling "favorite" is used in the penultimate paragraph. Maybe I'm over-analyzing, but I would think a press release would be edited by someone to get rid of such slips. If it were a press release. Frankly, I don't believe this for a second. I'll believe it if a source a bit more reliable than SearchingLyoko says something about it. Either way, I'm not setting myself up to get too worked up until this is proved or disproved. If it is proved, yay for us. If it is disproved...well, SL or whoever started this hoax is setting themselves up for embarrassment pretty quickly. Only two months' grace period before the fandom starts to hate you? Wow. After looking at the e-mails from the French and Spanish sites, I can say that this is most likely a hoax. My reason? In the e-mail on the French forum, it talks about the Futuroscope exhibit as it was a new thing. However, that exhibit, Objective Lyoko, has been around for more than two years. So if the person who sent it did work for MoonScoop, then he/she would know that an exhibit based of their show had been in a theme park for that long. Kind of a shame, really. But, at least we got the novels and MMO to look forward to. Also if it is a hoax, before you go blaming someone, don't blame SL. He was only one of the many receivers of the email sent by this Cloe Garbay person. Good move Carth - I was considering something along the same lines - here's hoping for a favourable response! I think it's strange that this wasn't a public press release on the website, and just distributed to a few fans. SearchingLyoko says: "Hi guys. My Xana-eyes in the sky have informed me that some of you (most of you) are doubting this e-mails legitimacy. Well, let me first say that I did not fake it. You can ask anyone that works with me. I'm not that computer talented. And I'm disappointed in those of you who think I did fake it. I know we fought but I would never do something like that. I'm not in this for fame. I have three e-mails. Two are Yahoo accounts and related to Code Lyoko. Anyone can find out about those. But there's a third e-mail. That's my personal e-mail. I have never released that e-mail. 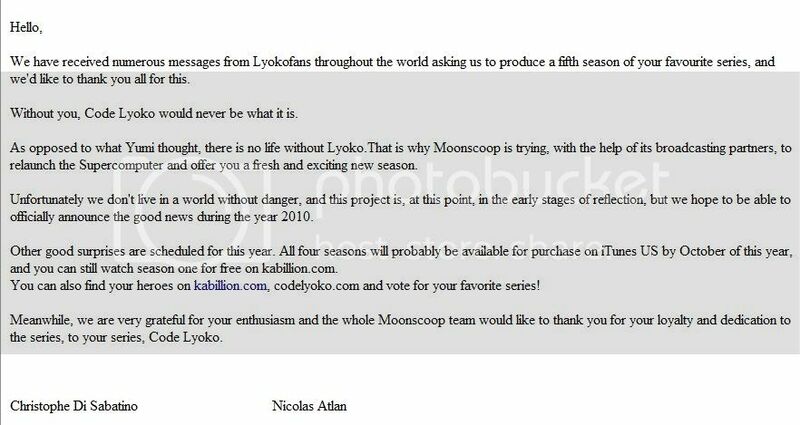 Nobody knows about that e-mail except people who know me personally (none even know what Code Lyoko is) and MoonScoop itself, since I use that one to e-mail them (I've been e-mailing them since before I created the two others). So in my honest opinion it can't be faked. No fan who would fake it knows that e-mail address, and as such can't send an e-mail there. Only MoonScoop knows about it. Therefore, only MoonScoop could have sent it. Well, believe what you want. I decided, just to be safe, to contact David DiLorenzo, a verified MoonScoop employee I've been in touch with, to ask him to verify the e-mail. I'll have his answer in... I don't know when. He's not a man for words... okay?!?! But I will have it. 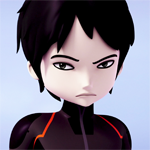 And I hope we can get over our past fighting... for Lyoko's sake it's been 5 months already. Nearly half a year. P.S. David DiLorenzo can be confirmed by going to page 29 of the first Code Lyoko powerpoint. P.P.S. The iTunes thing is really true. Mr. DiLorenzo was the first one to tell me that, and he is confirmed. They're also looking for a US publisher for the novels, but no luck. P.P.P.S. Also, to the person who said they hope CN doesn't broadcast CL, I'm afraid to tell you that MoonScoop says that CN owns the US airing rights. Period. P.P.P.P.S. In the event this e-mail is true, the question of whether or not they're serious can't be verified. It's up to us to push them in the right directions. P.P.P.P.P.S. 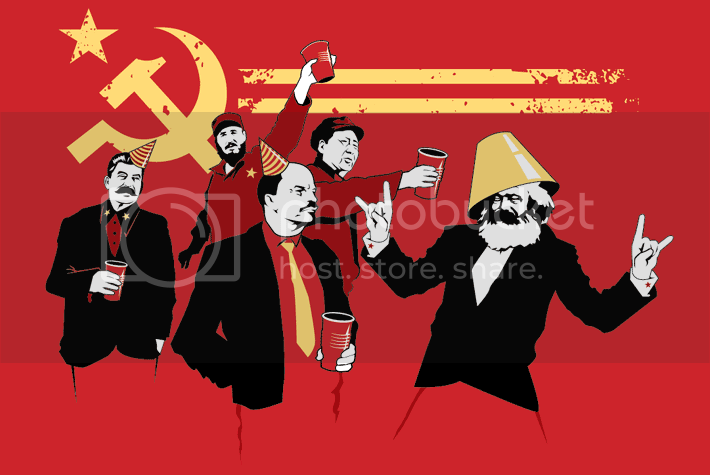 In the event that this e-mail is not faked... this calls for a party.... A communist party.... http://i583.photobucket.com/albums/ss27 ... /0011a.png "
About this not sounding like a professional thing, MoonScoop ALWAYS does that. When I'm in touch with David DiLorenzo, he sends replies from an IPHONE. One sentence replies. In fact, in the e-mail where he told me about the iTunes and US publishings, he actually just edited his own comments into my letter: http://i583.photobucket.com/albums/ss27 ... rching.jpg. Also, about the "favourite"/"favorite" thing... MoonScoop is a French Company. Cloe Garbay, from her name, appears French. English is likely her second languages. How many of you make mistakes in your second language? Okay, that's all. Really. No 10 "P.S. "'s this time. Last edited by jakarooni on Sun Jul 25, 2010 12:14 am, edited 1 time in total. Psh, me too D8 But I'd bet on waiting until at least Monday for any reply from either of them, because of general business practices. That sounds earlier than what I was expecting honestly. That's all well and good, but when one of them can tell us that themselves I'll be satisfied. By waiting on that I'm not setting myself up for disappointment, at the very least. In my opinion i belive the peice about the previous seasons being placed on Itunes does sound legit. Moonscoop has a similar deal with Itune's france division. and some shows are begining to put episodes up on Itunes for extra profit. so that does sound legit. As far as the whole season 5 goes. I just.....the note seems hollow to me. Im not sure if SL faked it. i doubt he did. since it has also leaked onto other forums. the french and spanish ones for instance. If this is a hoax then SL is not to blame. 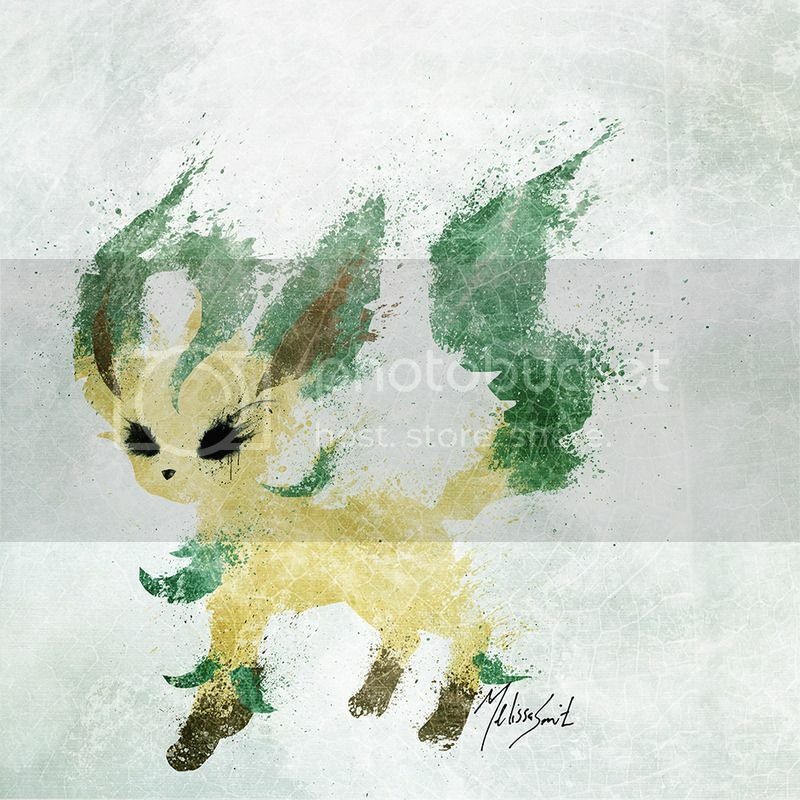 it would be this Cloe Garbay. One thing that does still trouble me is that the show has been dead for 3 years. Why choose to do a Season 5 now? some people have moved on. The only thing i could see them doing is a reboot which would help them settle issues and problems they created or left un anwserd in the show.. But honestly. if this was a official note. why wouldnt thier be some sort of signature from Atlan for some type of authorization? Even assuming the message is legit, it should still be taken with a grain of salt. An email isn't a promise. If Moonscoop really had an interest in pursuing another season, they wouldn't be announcing it like this. optimus304 wrote: In my opinion i belive the peice about the previous seasons being placed on Itunes does sound legit. Moonscoop has a similar deal with Itune's france division. and some shows are begining to put episodes up on Itunes for extra profit. so that does sound legit. so this isn't official yet, and maybe wasn't even supposed to be released yet. It could just be rumor spreading to keep CL alive (but that seems unlikely). It is strange that CL is dead now for 3 years and suddenly they want a new season, when the reruns aren't even airing. Is it possible that they will air only in France? I wouldn't worry too much about the US release: If Moonscoop gets a season aired anywhere, I suspect we have some enterprising types who could produce some subs of it. Or I dunno, did they ever release an English dub in the UK? I kinda missed the details on that, maybe TB3 can enlighten me. Anyway, what I don't hold out a lot of hope for is seeing Cartoon Network pick it up, based on how mistreated it was last time. The point is, the Internet will provide even though they probably won't. I think the mentality this is a press release is a little off base. This really appears to be more of a fan buzz generation email, whereas a press release would mention things like network involvement and how they plan to make money and what the company does. Stuff we know and don't particularly care about but is designed to get investors in on it. Therefore, I don't think the informal tone is a deal breaker. Still waiting to see if Carth or somebody we trust can get some confirmation back before I get excited. Actually, scratch that, I need to see the press release confirming Moonscoop actually has some network interested in airing the season before I get excited. I am kind of a reserved person that way.